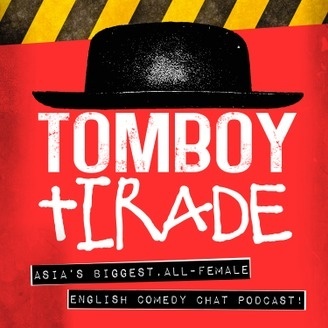 Asia’s biggest and only all-female comedy chat podcast. 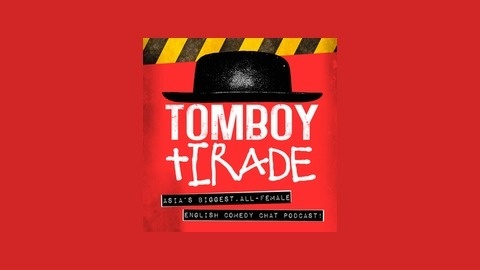 This week on our free comedy chat podcast, Tomboy Tirade, Persis, Siti, Joanna, and Raven attended an alternative version of Academy Awards hosted by Melanie Maras and discover what comedy is like in the new Donald Trump era. The Oscars awards season is here! Team Tomboy Tirade takes up Melanie Maras’ invite and heads over to Log Angeles to attend the Academy Awards. As it turns out, they are not attending the actual awards ceremony but its alternative version – just like there are alternative facts! There is even a secret entrance to the venue which is well-stocked with champagne to keep our tomboys bubbly and happy. Who are the winners in our alternative Academy Awards? How will we make the Oscars Awards great again? As the crew is settling down, the place is raided by the police – what has Melanie neglected to tell them? How will the offbeat crew get out of this sticky mess or will they descend on a slippery slope to a comedy of errors? Join us for a spectacularly funny episode of Tomboy Tirade that is so out of the world wacky that it deserves its special own Oscar nomination! WANT TO FIND OUT WHO ARE THE WINNERS AT OUR ALTERNATIVE ACADEMY AWARDS? LISTEN TO THIS EPISODE NOW. JUST HIT PLAY! IN THIS EPISODE, WE TALK ABOUT: 1. MEETING MELAINE MARAS [06’18] Multi-ethnic and bi-cultural, Melanie Maras is originally from Jakarta, Indonesia. Melanie is an award-winning writer, comic, and storyteller who performs all over the world. Most recently she represented Indonesia in the Semifinals of the Laugh Factory’s Funniest Person in the World Competition 2016 in Helsinki, Finland. The judges awarded her one of the highest scores for her performance. We talk to Melanie about her experience with Laugh Factory’s Funniest Person in the World competition, how she got her start in startup, her worst ever audience and what comedy is like in the Donald Trump era. Follow or stalk Melanie on social media! Find her footprints here on her Twitter and Instagram. Watch her funny videos or check out her site. 2.